TC were quick to respond to the Samsung Galaxy S3 with their new model One X. We tested the smartphone for more than a week and the impression it left us with was simply excellent. First we’ll start with the design. 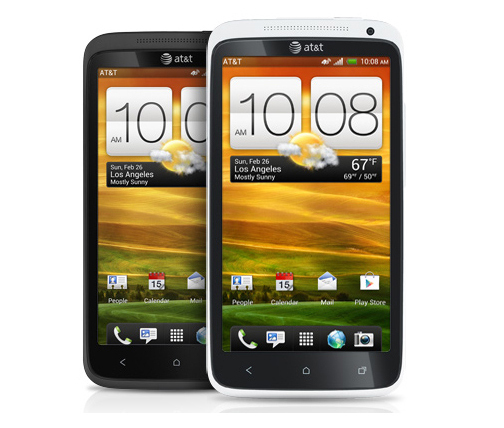 The HTC ONE X is available in two color options – white and matte gray. We got to test the second one. It weighs just 130 grams and its dimensions are 134.4 mm height, 69.9 mm width and thickness of just 8.9 mm. The phone’s shape is standard and the corners are rounded. The back panel itself is matte polycarbonate, which is not easy to stain or scratch. This material is very flexible, soft to the touch and overall beautiful. In the lower right corner of the rear panel you’ll find five little dots – those are used for connection to a docking station. The only ports we find on the thin periphery are the microUSB port, which is also used for charging and a 3.5 mm audio jack, the power button and a bipolar sound button. This material is very flexible, soft to the touch and overall beautiful. While we’re on the rear panel you’ll notice two things that are rather impress. First – the two-colored inscription Beats Audio, which speaks for itself – this phone has a crystal clear and powerful sound system. Realistically, however, it really is THIS good when you’re using the supplied headset from the phone while listening to music or watching movies. The built-in speaker is strong and in conversations you don’t have to push the device to your ear like you might do with other phones. The second noticeable feature of the rear panel is the centrally located 8 MP camera with metal casing. Great resolution, autofocus, face and smile detection and a really strong LED flash. Also available is the geo-tagging system, combined with the navigation. Videos are shot in FULL HD 1080p, 30fps and stereo sound. Another great feature of this smartphone is that you can take pictures while you shoot video without interrupting it, or afterwards when you’re watching your clip, you can take an image out of it quite easy. ideos are shot in FULL HD 1080p, 30fps and stereo sound. We find the camera for video calls in the upper right corner of the front panel. It is 1.3 MP and with HD quality. 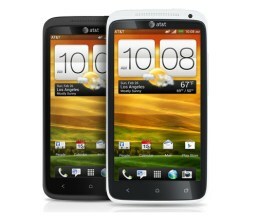 The HTC One X has a Super IPS LCD2 capacitive touch screen display with a diagonal of 4.7 inches. The phone has a near-perfect 180 degree viewing angle and one of the most accurate color reproductions we’ve seen – our tests quickly confirmed that the picture is really clear and the colors are vivid. All of that lies beneath a Gorilla Glass tread cover, protecting it from scratches. As for the hardware – operating with the HTC One X is almost like a going with a hot knife through butter cubes. Our test – with six webpages open, camera on stand by, navigation, games, a couple of applications, showed not even a trace of any lagging. Something you may not know – there is a fifth core in addition to the other fout – it’s used for support and reduces energy consumption. The operating system is Android 4.0 Ice Cream Sandwich, cooperating with 1 GB of system memory and a 12-core GPU NVIDIA GeForce. Sounds familiar – those specifications apply for some laptops and now here they are now in a very compact phone. Memory card slot is not available, but the built in storage space is a whole 32 GB or to be precise - 26 of them are free for user files. The battery that powers HTC One X is Lithium Polymer with a charge of 1800 mAh. In the time of our testing it lasted for about about seven hours constant browsing and phone calls on a single charge and for about 3 days with moderate use and permanent Internet connection.